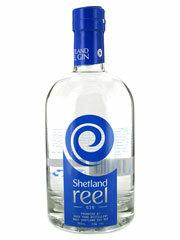 Shetland Reel Gin comes all the way from Unst, one of the Shetland islands! This Gin is made with a specially devised recipe featuring 8 botanicals, including juniper, coriander seed, orris root, cassia bark, citrus peel and apple mint grown on Unst. Light and refreshing, this Shetland Reel is a wonderful gin for use in cocktails. Nose: Oily citrus with lemon drizzle cake. Surprisingly cake like - think French Fancies with a touch of rose water and icing sugar to round things off. Palate: Delicate aromatics, rose and lemon. Finish: Gentle with moderate length.